Taxpayers have shelled out approximately $1 million for the medical bills amassed locally by Communications Minister and La Horquetta/Talparo MP Maxie Cuffie for his medical treatment at a private institution. The payment of $980,263.39 is being made to Medcorp Ltd, the parent company of St Clair Medical Centre, where Cuffie received treatment immediately after reportedly suffering a stroke last September. Cuffie, despite posts online alleging otherwise, continues to receive treatment in the United States and has been granted leave from sittings of the House of Representatives since September. Newsday has not been able to obtain the breakdown of Cuffie’s foreign expenses, but he has been receiving treatment in the US since November. According to sources, payment for Cuffie’s bills was approved by Cabinet in January after being submitted for approval by the Ministry of Public Administration and Communications. The ministry has a budgeted line item for medical expenses under Head 31 in the Draft Estimates of Expenditure 2018. That amount is $15,000. According to the Draft Estimate of Expenditure, this line item accounts for the medical expenses of all eligible public officers in accordance with their terms and conditions of service, or as agreed to by Cabinet. The allocation for medical expenses is a different facility from the UNIMED plan for public servants, which provides coverage for major medical expenses up to $1 million and also surgical benefits, medical benefits, diagnostic services, prescribed drugs, hospital services, dental services, vision, death and disability benefits. Prime Minister Dr Keith Rowley was asked about the limit of the state’s financial responsibility concerning Cuffie, during a press briefing following the Cabinet retreat yesterday. 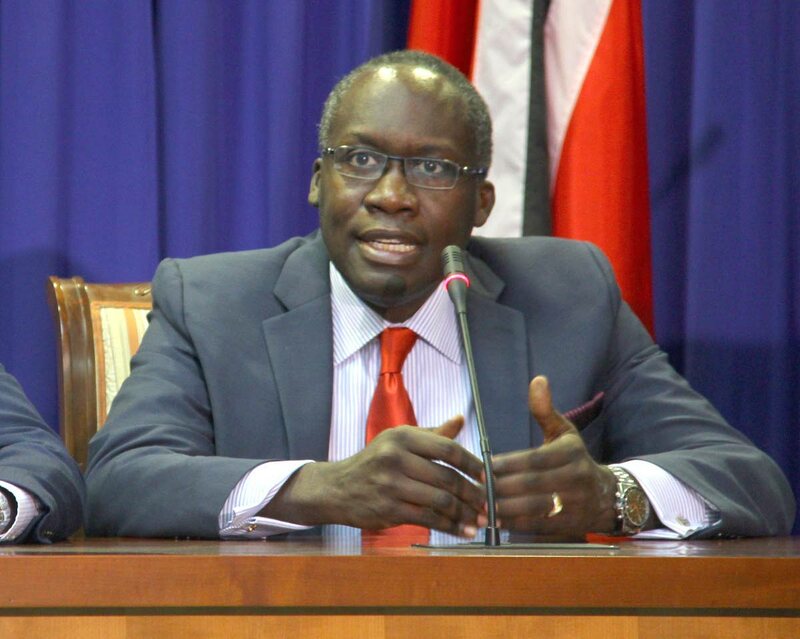 Rowley, in response to questions from media, described the state’s contribution to Cuffie’s medical bills as “not insubstantial” but declined providing the total cost of Government’s contribution. Rowley, who said the Government had been kept updated of Cuffie’s health situation via family, said he expected Cuffie to return in the not so distant future. The payment for Cuffie’s medical expense does not diverge from current or past practice, as taxpayers pay the medical expenses of public servants, including MPs and ministers, according to their terms of agreement. The public paid for former prime minister Patrick Manning’s medical expenses after his stroke; Opposition MP Fazal Karim’s 2017 medical bills, including treatment in Miami in 2017; and the medical expenses for Timothy Hamel-Smith during his term as Senate President. While other public servants had bills of a more general nature, Hamel-Smith’s claims included a $100 payment for a pharmacy purchase and several low-cost payments for other similar expenses during his term. According to the Salaries Review Commission, ministers are entitled to medical attention/treatment and prescribed drugs for themselves, their spouses and children who are unmarried and under the age of 18, at any healthcare facility under the Regional Health Authorities, including the Eric Williams Medical Sciences Complex. The document says, “Where such treatment is not available at such healthcare facility, the costs at any other hospital, institution or nursing home in TT is to be met by the State.” It goes on to say “medical attention/treatment” excludes optical and dental treatment services and “prescribed drugs” exclude drugs that are obtainable without prescription. The 98th report of the Salaries Review Commission does not recommend any change in the existing medical benefits for any of the offices within its purview. The report said the commission was told Cabinet had agreed that a health insurance plan should be introduced for full-time office-holders. The Newsday sent questions to Finance Minister Colm Imbert, who was in a government retreat at the Diplomatic Centre yesterday. Imbert’s WhatsApp indicated that he opened the chat, but he did not respond to the questions. Reply to "MAXIE’S $1M BILL"